Today we are revisiting Nina McGrath, you will remember her from our very first Grill the Foodie on Hong Kong. Nina has left the shores of Australia indefinitely and the first stop on her journey was England. 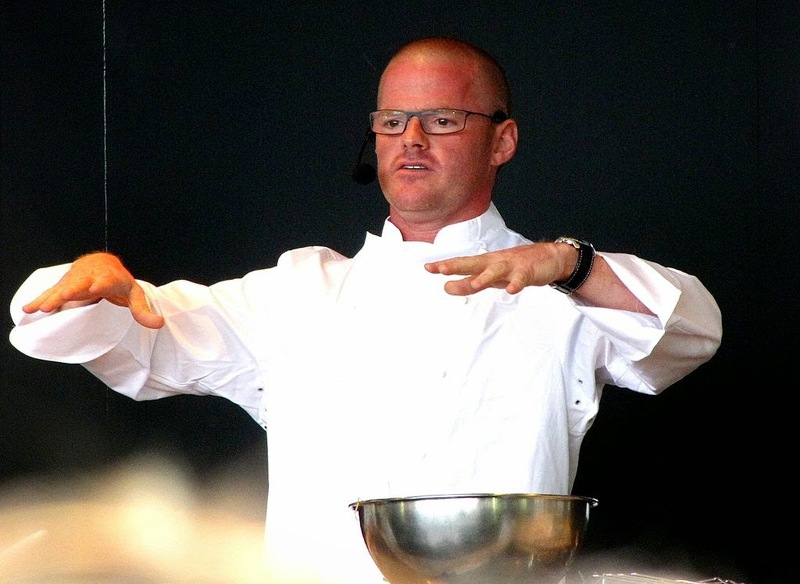 British food has never basked in glorious praise but it is slowly digging itself out of it's deep pit with the help of celebrity chefs like Heston Blumenthal. With his famed restaurant "The Fat Duck" (which Nina has had the privilege to eat at) Heston has done for British cuisine what Mark Zuckerburg did for the internet, created a sensation. He has (almost) single handedly redeemed a nation. With Australia still having it's feet firmly planted in the Monarchy it is interesting to hear an Aussie's take on the food of our father nation. How long did you live in London for? My husband and I lived in London for 4 years. What area of London did you live in? We lived all over the place, our first flat was in Angel (a Monopoly sky blue property), then West Hampstead and finally Canary Wharf. Given Australia and Britain’s close cultural ties was the food really all that different? Most Australians would be familiar with traditional English food such as a Sunday roast, fish and chips, and a full English breakfast. Thanks to the immigrant heritage of both England and Australia a cosmopolitan mix of restaurants ensure international cuisine is readily available including Chinese, Japanese, Thai, Italian, Greek, Spanish, Turkish and Indian. Did you find yourself eating out or cooking at home when living in London? Having a small flat and no car meant I could no longer drive to Woolies or Coles to do a big weekly shop. I switched to ordering groceries online and having them home delivered, and had no trouble getting everything I needed, even high quality fresh fruit and vegetables, to cook meals at home. We and our friends all lived in small flats spread around London, so rather than entertain at home, we’d meet at restaurants for a meal to catch up. We were lucky to be able to try some wonderful restaurants in London including The Fat Duck, Gordon Ramsay’s Dinner, Jamie Oliver’s 15, Nobu and Viajante. What were your favourite local dishes, those you went back for again and again? It was lovely to start a weekend with a full English breakfast of tea, toast, marmalade, bacon, eggs, sausages, baked beans, mushrooms, tomato, hash browns and perhaps a little black pudding. Most Sundays in winter would see me sitting by the fire in an English pub enjoying the Sunday roast with crunchy Yorkshire puddings, and a half pint of Guinness. In summer, I loved English barbeques, sipping Pimms while the meat cooked over charcoal. What were your favourite local food haunts? In Angel, the Winchester Bar http://thewinchesterbar.com/ has excellent cocktails and a great weekend breakfast, brunch or roast. What surprised you most about food in Britain? I was surprised to find that Indian curry held a special place in the heart of the British, above all other international cuisines. Chicken tikka marsala and Balti are both believed to have been developed in the UK for the British palate. Curry is a staple on most pub menus along with the burger, pie, bangers & mash and fish’n’chips. Even on the humble hot chip, curry sauce is a popular option along with the usual tomato sauce or gravy options. As an expat were there any British dishes you had a total disconnect with e.g. didn’t understand or outright hate? Even in Australia I wasn’t keen on offal such as liver, kidney, brains, tongue, tripe and sweetbreads, so steered clear of dishes like steak and kidney pie. I may have given them a try at one of the restaurants that specialised in nose to tail eating, such as St John https://www.stjohngroup.uk.com/. For tourists, what local foods would you say are a must have on their trip to Britain? A full English breakfast, a Sunday roast in a pub, Pimms, Guinness and fish and chips on the pebble beach at Brighton if you can manage it! An Indian meal on Brick Lane is one of the essential London experiences. Touts outside each restaurant compete for your business by offering free drinks, pappadums, naan bread and discounts off your bill. Haggling sure works up an appetite! Were there any British foods or experiences that made you feel like you were home in Australia? To feel like I was home in Australia I’d head to one of the Aussie/NZ run coffee shops such as Kaffeine http://kaffeine.co.uk/ for a latte and Anzac biscuit or Flat White http://www.flatwhitecafe.com/ or its sister café The Milk Bar for a flat white and a ham and cheese toastie. Another option was to whipped up a batch of ANZAC biscuits, lamingtons, fairy bread or a pavlova to share with my work colleagues – helps with homesickness and office morale! What is your favourite food memory or food story from your time in Britain? Our most memorable food experience was dining at The Fat Duck. I managed to get a reservation, but due to flight delays, traffic and train cancellations we missed it! Thankfully I was able to get a second reservation and our amazing meal was all the better as we were so grateful to finally be there. What are the British dishes or food experiences you will miss most now that you no longer live there? I now live in Hong Kong and thanks to its British heritage I can I can pop into my local British pub The Yorkshire Pudding http://www.stauntonsgroup.com/outlets_yorkshire_pudding.html for an English meal or Marks & Spencer Food for English tea or lollies such as Percy Pigs. The only item I can’t get here is Fortnum & Mason Piccadilly Piccalilly, I stock up whenever I pass through London. You can read more of Nina's British food adventures at the below links.